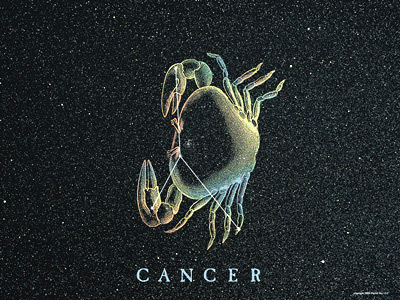 Item number DS404 - Cancer - Image © Digital Sky LLC. Cancer lies between Gemini and Leo along the ecliptic. It is a rather inconspicuous constellation of faint 4th magnitude stars. However, there is one very interesting naked eye object, M44. Messier 44, also known as The Beehive Cluster, can be seen with the unaided eye under dark skies. It is a great object for binoculars or a small telescope. About 50 stars are visible in a small telescope, but there are about 350 stars in the entire cluster. M44 is the fuzzy patch near the center of the crab.